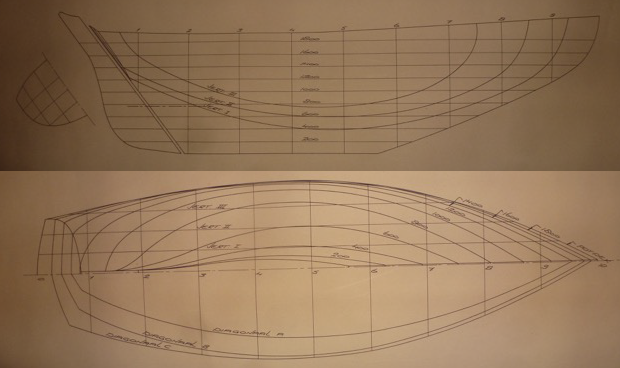 The HBA's “man in the Netherlands”, Michiel Scholtes, has been following up rumours about a boat built to a Harrison Butler design, Anteia. He's tracked down the previous owner and writes, “Anje Valk, has been able to show me drawings that she made of Anteia, which she renamed Syb when she bought her in 1986. 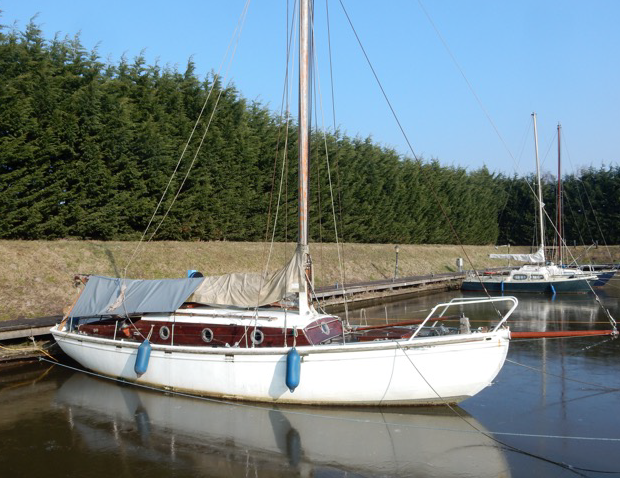 The boat was in a sorry state but over the following years Anje invested time and all her earnings which resulted in a complete restoration. 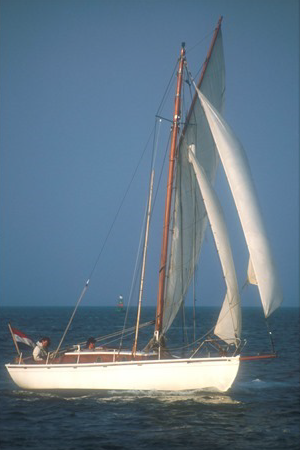 In 1989 she rounded Bass Rock in Syb singlehandedly, an audacious voyage in such a small boat”. The boat is certainly an intriguing pre WWII vessel, built of steel, and riveted. It's interesting that she's been passed down through the years with the owners believing her to be built to a Harrison Butler design. 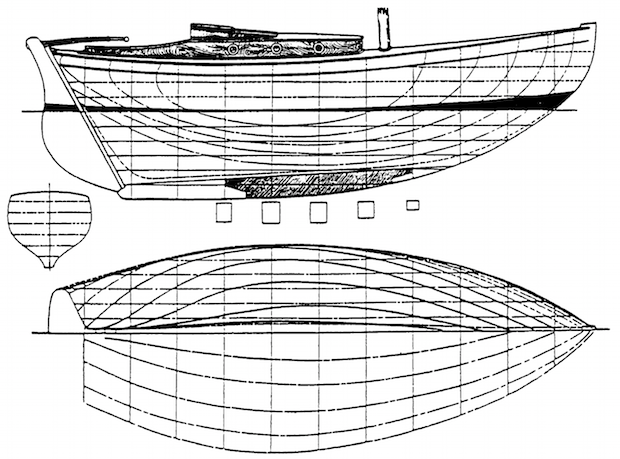 There isn't an obvious match with a known design; the curve of the hull at the stern being a particular region of discrepancy but her constructon out of steel, rather than wood, may be the reason for modifications by the builders. Michiel points out that there are similarities with the Poole-Pilot design of 1910. However, it's unlikely that 1939 build would fall back on a 1910 design. I consider the Bogle Design of 1934 more likely. I've passed Michiel's investigations on to the HBA authentication officer for his opinion. Meanwhile Michiel is continuing to investigate in the Netherlands.